For this installment of Coffee Talk we&apos;re sharing our worst first dates. 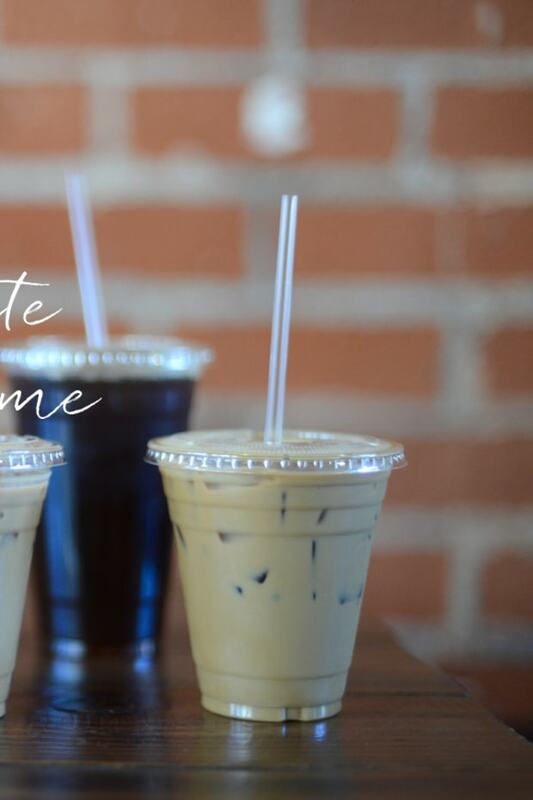 Of course it&apos;s been years since Emily and Geoffrey&apos;s last first date (they recently celebrated their fourth wedding anniversary), but we thought it would be fun to tell some of our dating mishaps along the way. Settle in for Geoffrey&apos;s—it&apos;s worth the read. Emily: I never had any truly terrible first dates, but one sticks out as being the most awkward. I agreed to go out with a guy after meeting him briefly at a bar. We were supposed to grab dinner at a Vietnamese spot and then see a some live music at The Hotel Cafe. We met at the restaurant and I immediately knew that we didn&apos;t click. We had nothing in common - he was an outgoing bartender/actor with eight siblings from the Midwest (I&apos;m an introverted only child from Marin County) and we couldn&apos;t find anything to talk about. So our conversation revolved around the same asinine topic for nearly an hour: how to pronounce Pho, the Vietnamese soup. "Are you suuuuure it&apos;s &apos;fuh&apos; and not &apos;foh&apos;?" I was so bored and couldn&apos;t help but sneak glances around the nearby tables to see if other people were witnessing our awkward first date. Needless to say, we politely parted ways after dinner (I was "exhausted") and went home early. Geoffrey: I&apos;ve only had one blind date experience and it was easily the most embarrassing and comically depressing moment of my mid-20s. This date happened before the online dating boom, so any information you were able to collect on someone was usually done through mutual friends. Needless to say, I trusted the person who set me up and was persuaded to go on my first (and last) blind date, against my better judgment. As I pulled up to the apartment, my initial anxiety began to subside and I was excited to meet this person, whom my friend had raved about. As I pulled into a parking spot, my phone rang, and my date (let&apos;s call her Ann) said she saw my car and would be down in a minute. Ok, so maybe she was a little anxious and was looking out the window in anticipation of the date, or, most likely, she wasn&apos;t comfortable with a new guy coming up to her place. Either way, I was fine waiting downstairs in my car and was listening to some music when the entrance to her building opened and a woman with crutches and a leg cast up to her hip, clumsily hobbled out the door, frantically waving at me. I took a deep swallow, got out of the car and said, "Ann?" I&apos;d seen photos, but 1) this person&apos;s face was a little injured and 2) she was in a massive cast. I climbed up the front steps to the building and reached her just as she fell forward slightly, trying to grab hold of the railing. "Thank you," she said, "that was a close one." I was speechless for a moment, but finally said, "Are you ok? That&apos;s some cast." I really thought this was a prank, but she explained that she had fallen down these exact steps a few days earlier, and had shattered her leg in several places, along with hitting her face on the way down. She apologized for not letting me know in advance, but she had been stuck in the house for a few days and didn&apos;t want to cancel the date. After hearing what she&apos;d gone through, I felt bad about my initial reaction. I told her I understood and that I was really happy she didn&apos;t cancel our plans. I walked her to my car, helped her in, and the date started. I booked a table at a place near her home and when we pulled up, she began to squirm oddly in her seat. I thought she might have been adjusting the cast or something, but she said, "Oh, I didn&apos;t know we were coming here." I asked if the place was ok, since it had good reviews and she said, "No, no, it&apos;s great, it&apos;s just, this is where I used to go all the time with my old boyfriend." Ok, the cast was a minor red flag, but that&apos;s easily dismissed. Mentioning an ex before a date really begins is another warning sign, but I told her we could go wherever she wanted if she wasn&apos;t comfortable there. She sat in silence for at least two minutes, looking at the entrance to the restaurant, then finally said, "No, let&apos;s do this." I didn&apos;t want to pry, but clearly this place had some strong connection to Ann&apos;s past and perhaps she was working through some stuff. I helped her out of the car and entered the restaurant. She told me she wasn&apos;t drinking that night, since she was taking pain medication and didn&apos;t want to mix the two. Totally understandable and I told her I was going to pass as well. This didn&apos;t last long. As soon as we sat down and looked at the menu, Ann started talking about her ex and how they used to come here when "they were in love," and how much she missed him. She then recounted how they met, which happened at a Trader Joe&apos;s, around the corner from her apartment. They were both in the check out line, when she reached for dark chocolate almond clusters and "like magic" he happened to reach for the same candy and their hands touched. They got together a few days later and had a torrid affair, up until a month ago, when she found out he had cheated on her. I ordered some straight gin and settled in for whatever happened next. The painful stories continued, while the waitress came over several times to take our order. Ann kept delaying, telling the server she just wasn&apos;t sure what she wanted, but had recently started a new diet and was hoping for more Atkins-friendly options. The waitress tried to help, but apparently wasn&apos;t convincing enough. After about 10 minutes of reading the same menu, she decided she wasn&apos;t hungry at all, but if I wanted to eat, to please order. If I wasn&apos;t starving, I would have said we should leave, but I needed another drink and some food, which I wolfed down as she watched me, not saying a word. Once I finished, Ann excitedly asked what we&apos;d be doing next. I almost guffawed in disbelief and at this point told her, as kindly as I could, "You seem nice, but there are clearly some issues you&apos;re dealing with, which I can appreciate, but I really don&apos;t want to spend the rest of this night hearing you talk about your ex." You would have thought I killed her puppy with the look she gave me. She tried to launch out of the booth, which wasn&apos;t very successful, but as I attempted to help her, she slapped my hand away and labored to the door. I was done at this point, so after paying, I walked back to my car, with Ann sternly waiting near the passenger door. She insisted I not help her and after unlocking the car, she kind of fell sideways into the passenger seat, with the crutches sticking out the window. The drive to her place was the most uncomfortable 10 minutes of my life, as she began to mutter things about me under her breath, but obviously loud enough for me to hear. As we pulled up to her place, I barely came to a stop as she yanked the door open and got out. She turned around and looked at me, waiting for what I can only assume was an apology. While I&apos;d normally leave with some well wishes, I simply rolled up the window and drove away. I never saw Ann again. Alina: The date started off fairly awkward (par for the course for a Tinder date). The bar he&apos;d picked for us to meet at happened to have a weird event the night of our date, celebrating one of those obscure holidays like "national tacky sweater day" or something like that. The entire place was overrun with a huge crowd of drunk people in costumes. I had to literally zig-zag between a maze of wasted college kids, scanning everyone to find the guy I&apos;d never met before, trying to match his face to his Tinder profile pic. It felt like a party scene out of Old School or Neighbors. Eventually we found each other but we could barely hear one another and I was screaming to speak. "Uh-leeeee-na," trying to pronounce my name to a stranger over and over again, and exchange small talk before giving up because the noise made it impossible. We decided to walk to a different venue, but it was a painful ten-minute walk. I wasn&apos;t really in walking shoes, my throat literally hurt from the screaming we&apos;d done at the bar, and the conversation was forced and unnatural. We basically both knew it had been a bust, but suffered through to the end of dinner. When the bill arrived, he said, "Don&apos;t worry, you can Venmo me for it later." I laughed and assumed he was kidding until I received the invoice later that night: "$32 for 1 glass red wine, pasta, and small side of vegetables." I have no problem with the concept of splitting a first date, but receiving a Venmo invoice after the fact felt hilariously absurd and awkwardly technical. In case you were wondering, I submitted the invoice. 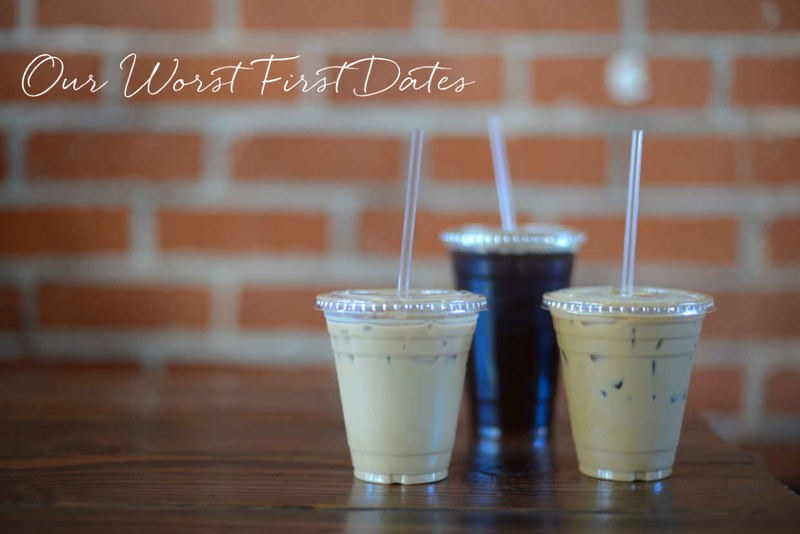 What are some of your worst first dates? P.S. 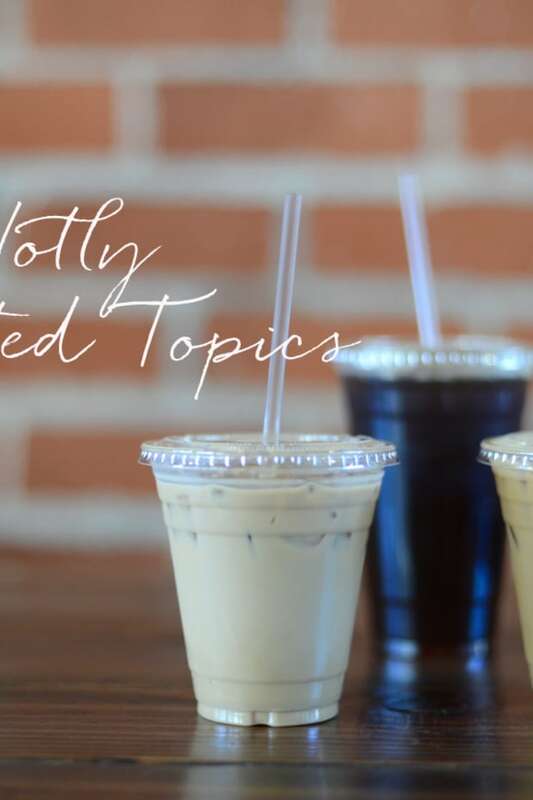 Our last two Coffee Talks, where we discuss outgrowing friendships the quality we value most in other people.